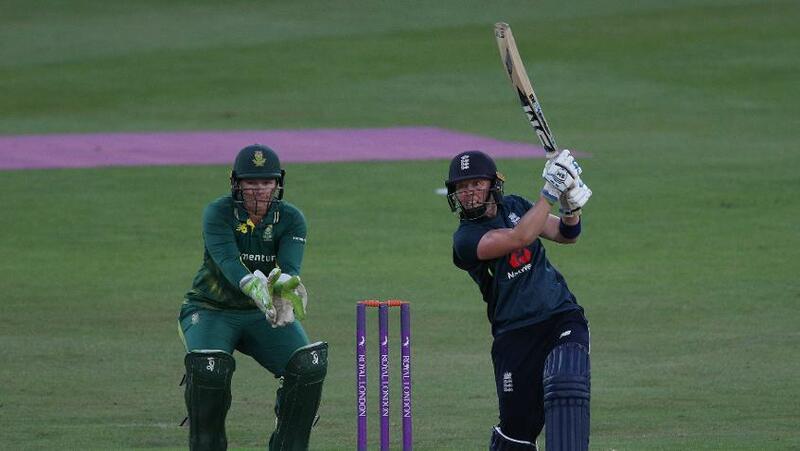 "I’m proud of how the team have delivered under that pressure," said England captain Heather Knight. South Africa captain Dane van Niekerk: “We’ve got two points out of the first game but it’s quite disappointing being one up against England and not taking full advantage. 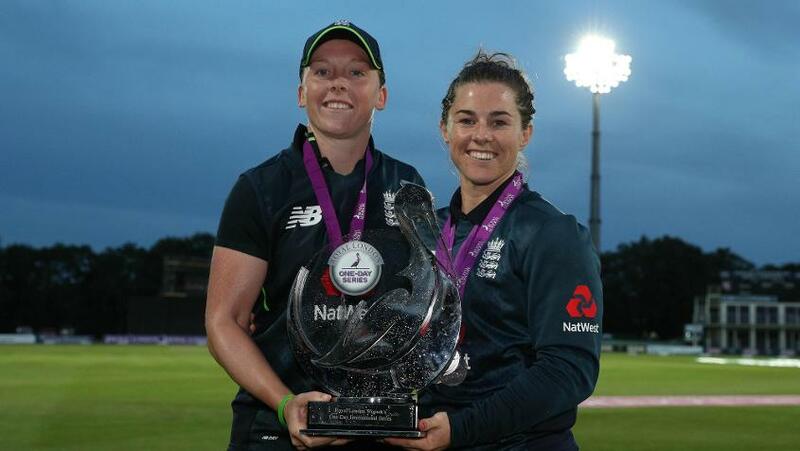 England captain Heather Knight was pleased as her side pulled off a 2-1 series victory over South Africa after losing the first match of their ICC Women’s Championship series that ended on Friday. 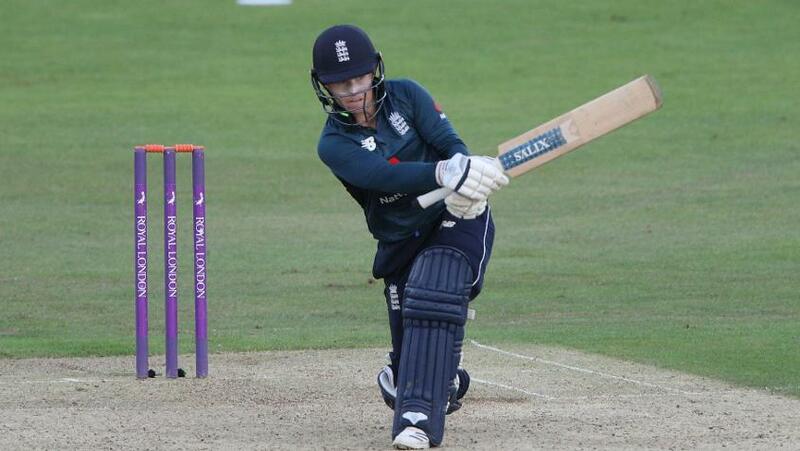 ICC Women’s World Cup 2017 winners England lost the opening match in Worcester by seven wickets but came up with strong performances to clinch the next two in Brighton and Canterbury by 69 runs and seven wickets, respectively, to take fourth position on the points table. England are tied with the Windies on six points at the end of the second round of matches but ahead on net run-rate. England had lost their first series to Australia by 2-1 while South Africa had lost by the same margin to India and are now in seventh place with four points. New Zealand and Australia lead the table with 10 points each after six matches. England, who are second in the MRF Tyres ICC Women’s Team Rankings, also play their next IWC series at home against New Zealand from 7-13 July while South Africa will travel to the West Indies as teams also look to prepare for the ICC Women’s World Twenty20 2018 to be held in the Caribbean from 9-24 November. England captain Heather Knight: “We’re happy to have fought back in this series to win 2-1. It was a difficult start for us – losing at Worcester – and I’m proud of how the team have delivered under that pressure. “There were a number of positives for us throughout the series, even including the defeat at Worcester. Firstly, South Africa are a really good side so it’s important we’ve managed to come out on top. Secondly, there have been a number of impressive individual performances – namely Katherine Brunt at Worcester and Tammy Beaumont’s twin centuries – but most important has been the way we’ve fought together as a team to earn this series win. “We’re always looking to improve, in every department. I think our batting performance at Worcester was beneath our usual standards but that’s part of the game and you can’t expect to be at your best in every single performance. As a team, we’re striving to improve every day and hopefully with that we can continue to enjoy success. South Africa captain Dane van Niekerk: “We’ve got two points out of the first game but it’s quite disappointing being one up against England and not taking full advantage. We are down to seventh and have a lot of catching up to do. We need to beat some of the stronger sides to get the points up and try to win series 3-nils.The first game was brilliant, the way we bowled, the way we batted. We also had other high points with Lizell Lee’s hundred the other day and Chloe (Tryon) striking the ball well. But we need to be a more consistent outfit. “We have to work on our bowling tactics and plans – we are bowling both sides of the wicket, not bowling one length, one line. We need to take the game forward with the bat as well. We have to find a way to score when the bowlers are bowling well. We can’t just let ourselves get bogged down. The ongoing second edition of the ICC Women’s Championship is the pathway to qualification for the ICC Women’s World Cup 2021 in New Zealand. Hosts New Zealand and the three other top sides from this tournament will qualify for the World Cup while the remaining four sides will get another chance through the ICC Women’s World Cup Qualifier. Meanwhile, some fine performances in the series have resulted in big movements in the MRF Tyres ICC Women’s ODI Player Rankings. South Africa opener Lizelle Lee has gained seven places to take second position among batters after accumulating 211 runs in the series while England’s Tammy Beaumont’s back-to-back centuries in the second and third matches and a series-topping 212 runs have lifted her three slots to 10th position. Others to move up the rankings for batters include Dane van Niekerk (up eight places to 13th) and Laura Wolvaardt (up one place to 14th). Among bowlers, Shabnim Ismail (up three places to third), Ayabonga Khaka (up one place to seventh), Anya Shrubsole (up one place to ninth) and Katherine Brunt (up three places to 12th) have made significant gains. 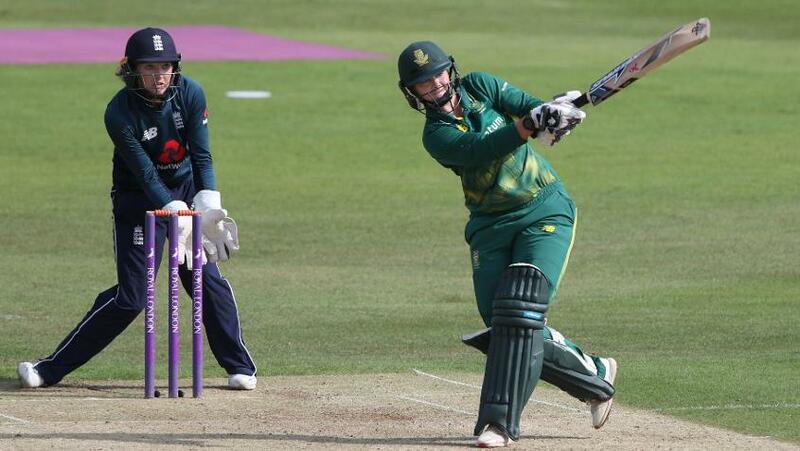 South Africa 262-9 in 50 overs (Lizelle Lee 117, Chloe Tryon 44, Laura Wolvaardt 32; Sophie Ecclestone 3-54, Katherin Brunt 2-34, Laura Marsh 2-53).